After 24 hours of staring at multiple screens filled with numbers, timings in GMT, in GMT +2, in any other time zone really and translating them all to one timing which is GMT +3 I can finally say that the “Ramadan TV List 2013” is here and ready to be downloaded by you freaks out there. This year I started out a bit late but I kind of like how I went all simplistic in the design. I am working on making an (iPhone-Friendly) version but that’s not complete yet (might be making it available as a separate website perhaps but not so sure yet). You remember the drill this year? Last year many of you chose to steal this list and slap on your own watermark and call it your own, well I’d like to see you try again this year. The watermark is seriously all over the place and short of you being a magician and making it disappear I don’t think it’s possible. There are empty timing slots, and there are some shows with no timings at all on any network but that’s only because not all TV networks release their timings until the day of Ramadan. So for all intents and purposes this is a preliminary list until Thursday when I will be releasing an updated version. So in the next 24 hours I will be finalizing (read: starting to write) the Ramadan 2013 TV List. I know I’m a bit late this year, hell I’ve been procrastinating writing these past two months but that was because I was too busy living life to write (read: being too lazy to move my tush and access my blog from my numerous devices). Hopefully this year I will avoid the “copy-cats” and “thieves” who steal my list, although I would love to give you a nice Excel version of it, so you could remove what you don’t want and so forth but I doubt it’s possible (read: people will still actually steal it and stick their logos on it). Once I am done with this year’s list then I will tackle on the important topics of actually sharing my thoughts with the world. And of course finishing the pending work (I know I know I’m late with stuff but give me a break :P) since I am still unemployeed and now I should have all the time in the world unless I am turning into a potato in front of the TV. Anyways, let me get off this thing and actually write the beast! Toodles! Stay tuned! It bereaves my heart the amount of inappropriateness that is seen on this show. I started off this year with a love for two shows “Saher Al Lail 3” and “Kannat Al Sham o Kanayen Al Shamiya”. But 15 days in I am ready to hang my hat out on the latter show because it is beyond inappropriate for this holy month. Hell it’s borderline rated R if not rated X. You might wonder what this show is about? Well it was written by the lamest of all writers Heba Hamadah who brought to us the shameful “Zwarat Khames” back in 2010. I started watching the show because it depicted an old time, the filming, the costume, decor, was something like eye-candy for me, little did I know that it was just a fancy packaging for a plot-less show. 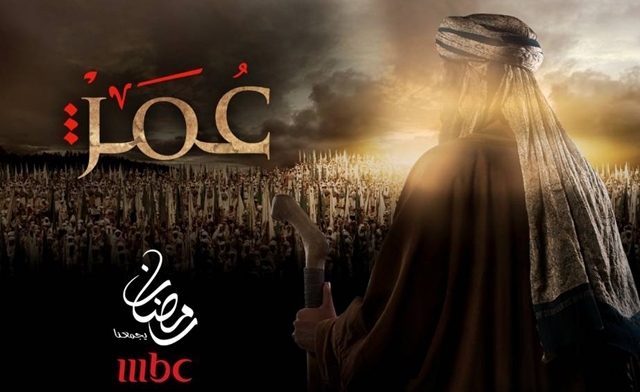 Warning: I apologize in advance as to the length of this post and the amount of details I have given, well its mostly everything that aired already so if you want to watch this show after Ramadan ends do not proceed if not then go ahead and see the lameness of it! So MBC has finally annouced the timings of the show “Omar” and therefore instead of updating the list once more today I will leave the timings here, the update will come when I find out more about the rerun timings. Also OSN Mosalsalat and OSN Mosalsalat HD+ were renamed to Series and Series +4 thanks to commenter Jack Al Mazeedi on BananaQ8’s Blog. Again I am only human so mistakes can always happen. Note: “Saher Al Lail 3” on Al Rai aired earlier today at 3:30PM right after the Prayers but on the website it is still at 3:50PM Therefore I will not change it yet, it might be a one time thing. Note 2: In case there are mistakes, please bear in mind that networks do change timings as they go along the day and this is just to help you plan around your day. If you would like start tuning into the channel 15 minutes earlier because as the Fitour time changes the shows start earlier. The Arabic/Cartoons list however has some missing show timings, there are networks (Funoon TV, MBC) who have not disclosed all their timings on their websites or in other channels therefore I have the timings that were listed from other credible sources. Also I have changed the location of Mosalsal “Omar” from the bottom of the list to right below the “Cartoons”. 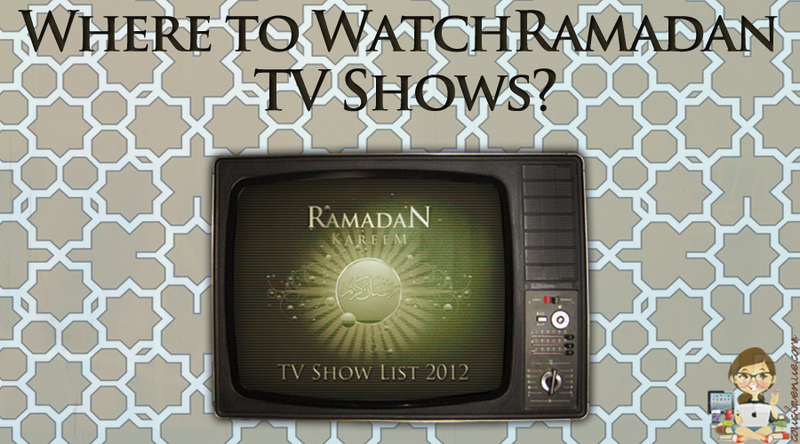 [Ramadan TV] Where to Watch? So you want to watch some shows on TV but you don’t want to just sit there and wait for them to air? You have a life right? I have slaved since the early hours of the morning for the below list and seriously it’s not as easy as one might think. I have been M.I.A. on Instagram, Twitter, and everything else because dealing with timings and typing and designing is not as simple as it looks. But this is what I have come up with. I have searched online forums, online websites, network websites, turned the different rocks and found the below timings. If you want to get a heads start look below and you might find the show you follow. I have compiled all Khaleeji shows except some which I might not be interested in watching and there were no timings whatsoever for them. And I added this year a “Genre” category which labels whether the show is Khaleeji, Arabic, or Cartoon. Arabic shows were added to the list.